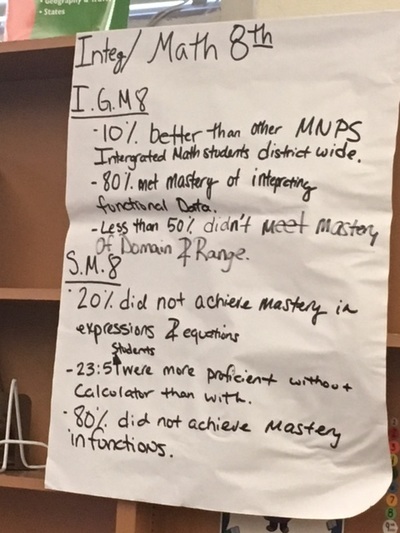 On October 10, 2016, Two Rivers Middle used the collaborative inquiry process to take a data dive into their district benchmark data. 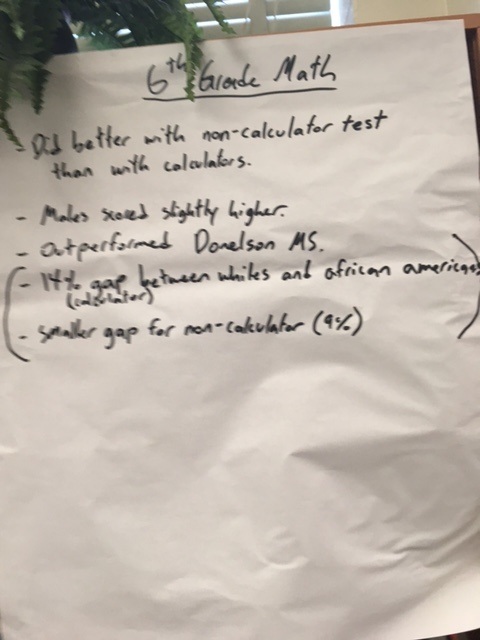 Grade level subject area teams made observations of the data, generated theories of causation, and developed next steps for supporting student success during the next 9 weeks. Below are the meeting materials used, pictures of their collaborative work, and meeting feedback. 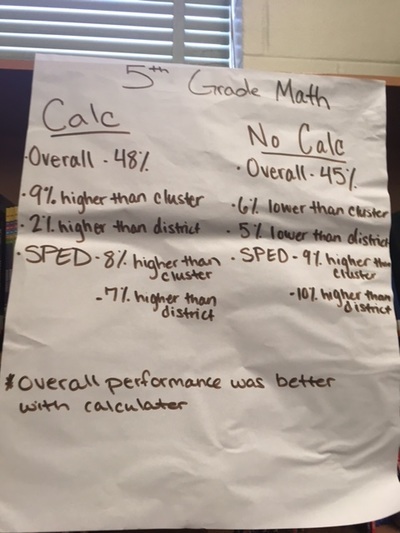 Synectics is a strategy used to generate multiple ideas by comparing two things that seem unrelated. It is a great way to activate prior knowledge and develop psychological safety when beginning to work with a group. 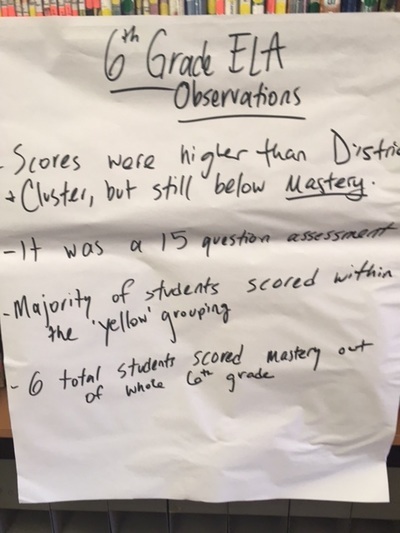 (Remember the importance of psychological safety in teams? If not, check out the blog post about the Google study, Project Aristotle, HERE. 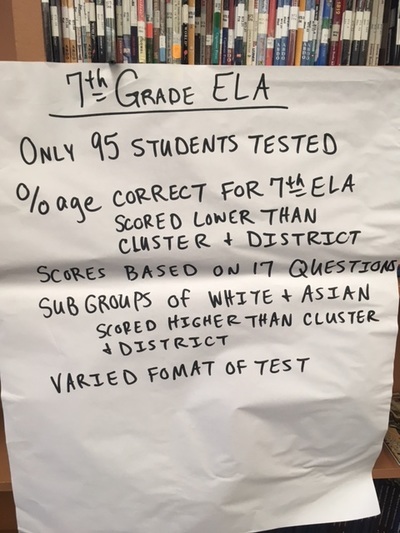 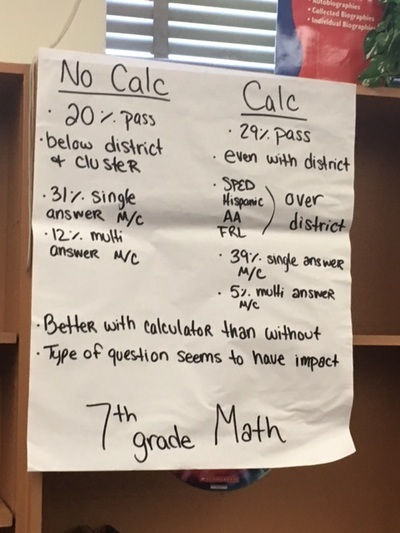 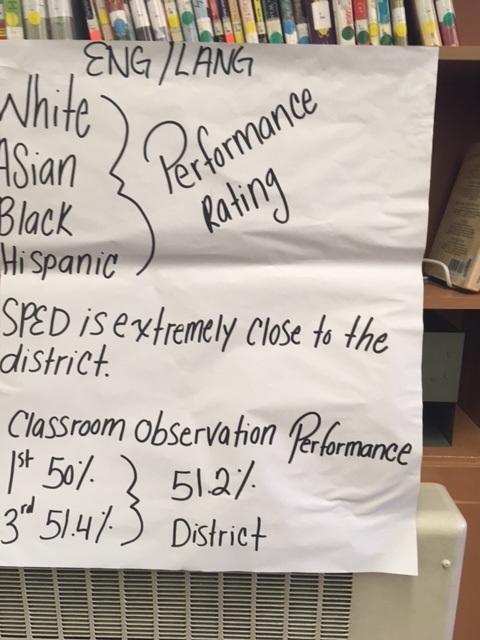 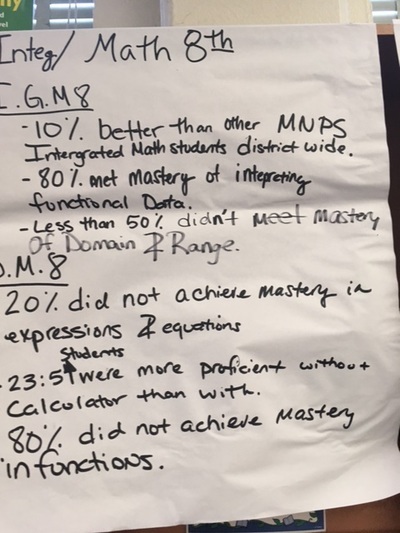 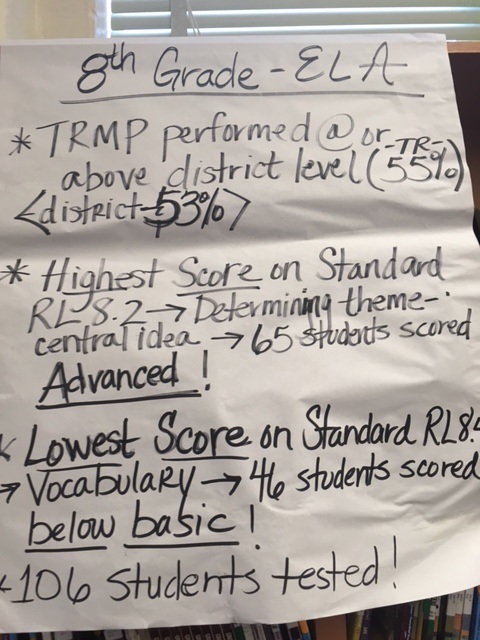 Working in grade level subject area teams, teachers reviewed the district benchmark assessment data and made the below observations on chart paper. Teams used the observations to generate multiple theories of causation, then reach a consensus of one to test this nine weeks. 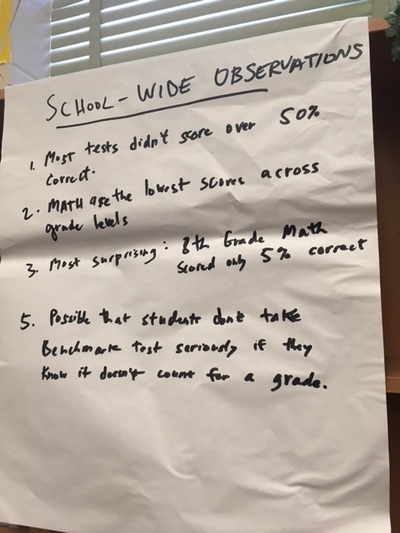 Below is a copy of the Theories of Causation handout that was used to generate multiple theories.